Vista Panels members can order any available uPVC or composite doors online, using our online ordering facility. It’s never been easier to order your required doors online, with our new online portal which lets you deliver products to end users just that little bit faster. Once your order is placed, we manufacture each door within our in-house factory using state-of-the-art CNC machinery to turn around your doors swiftly and to a high standard. 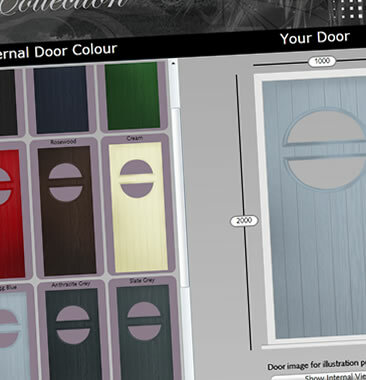 You will need login details to be able to order your doors online, please contact us to obtain them. Let Vista take the pressure of manufacturing your doors away, letting you spend more time at what your business does best, fabrication. If you’re a fabricator that’s making composite or uPVC doors and would like to see the benefits of buying from Vista for yourself, order your doors online today! RAL colour enquiry service – Simply send us the RAL and we’ll get you that truly unique door set made up especially for your customer! 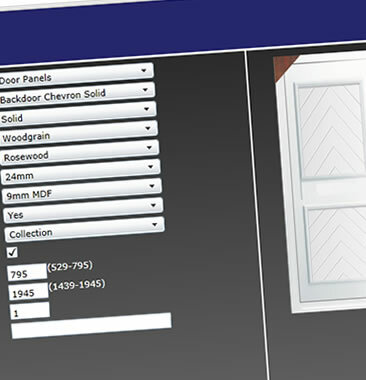 Using our simple, browser-based, online program you can select a composite or uPVC door and all of its elements from a versatile range of products on offer in the Vista collection. If you have any difficulties using our online tools please feel free to contact us. We can supply you with a quote over the phone call 0151 608 5474 or send us your details and we will be in touch. Unit H1, Prenton Way, North Cheshire Trading Estate, Wirral, CH43 3DU.